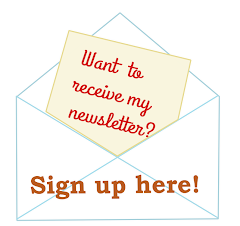 In the past few months we had some great themes on the &Stitches blog. We have been looking at backsides of embroideries and we explored the Satin Stitch. This month we are looking at inspiring (modern) samplers and stitches and (quite spontaneously) started the Garden Path Embroidery Sampler-along! 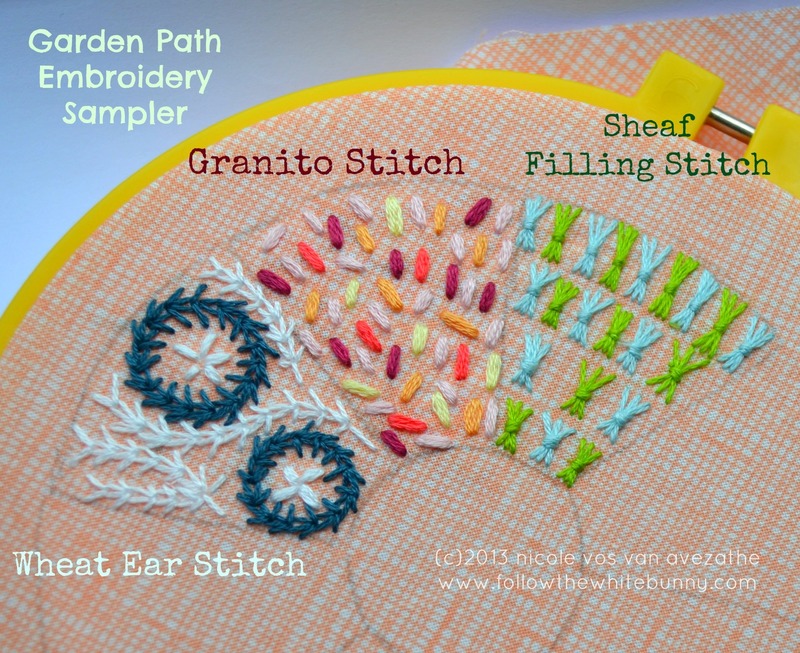 First Carina tackled the Granito Stitch, last week Julie showed the Sheaf Filling Stitch and today I posted a tutorial for one of my favourite stitches: the Wheat Ear Stitch. Coincidentally these are 'grain' related stitches. :) I already learned lots filling these three garden 'plots' even though I already knew the stitches. It's fun to practice and experiment and make your sampler look quite pretty at the same time as well. 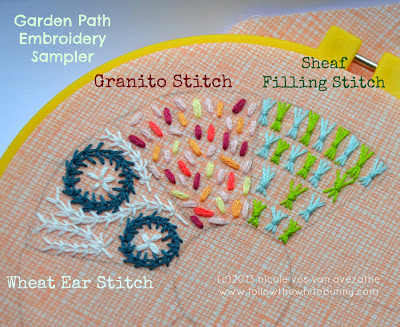 So do yourself a favour: download the free Garden Path Sampler and Sampler-along with us! Oh Help! I love this so much! And I already have about eleventy bajillion projects going! Soon, soon for this one! LOVELY stitches, all! You guys are always encouraging us to push ourselves with our stitching, which I love. It's so inspiring to try these new stitches and not always rely on the familiar. Thank you. Sincerely.